The Ranger 4200, two of which serve the largest US East Coast port, has a modern superstructure that is not hard to build with this kit. 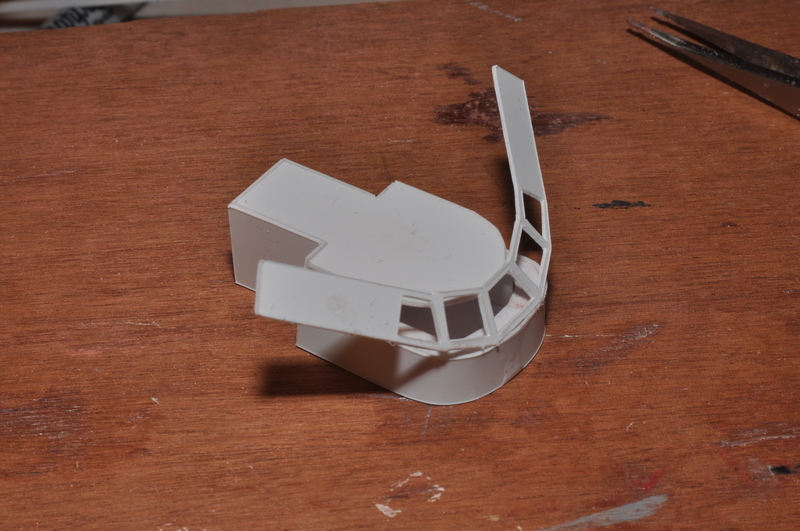 Gluing some of the curved pieces will take patience or a bit of masking tape here and there. Start by gluing the lengthwise stringers to the base. 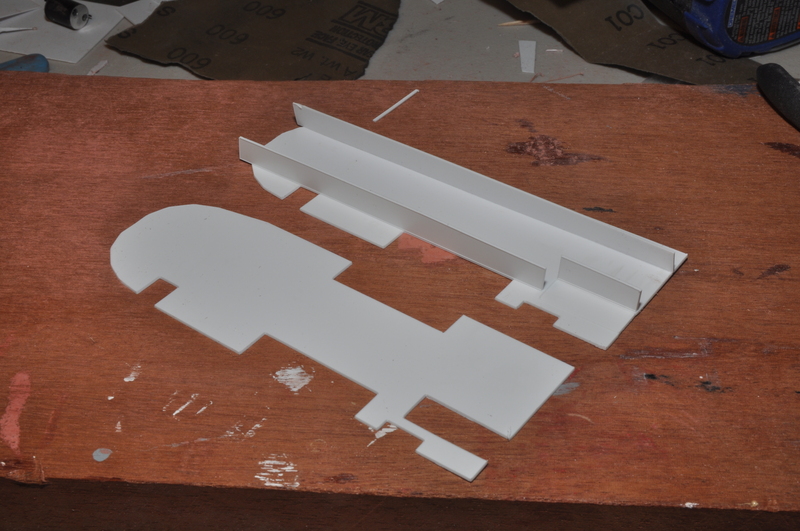 They are aligned above the cut-outs for the stack and pilot house door. 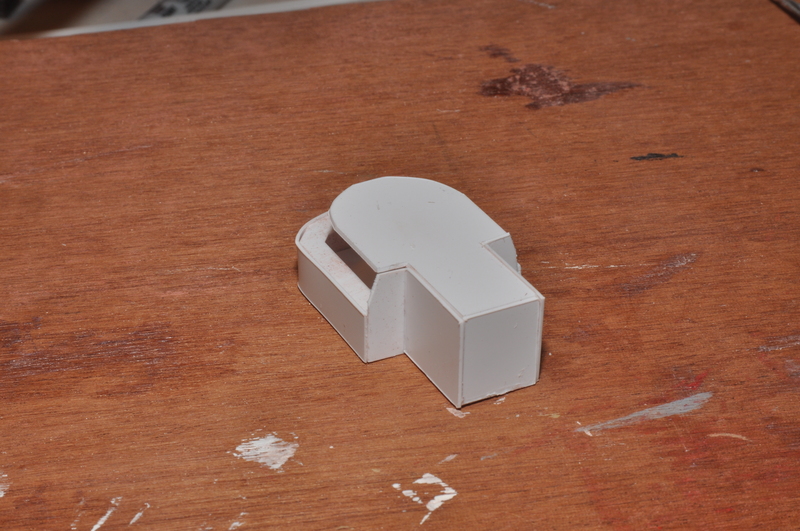 The closer rear piece is aligned with the stairway cut-out, which has not been removed fro the base. Rear alignment is critical; the front will hang over, and be trimmed later. Glue the mid-layer to the stringers. 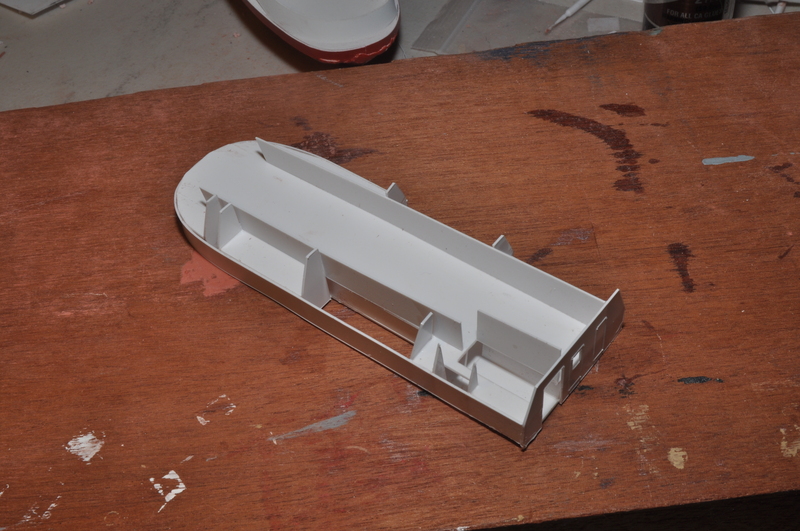 Note that the rear is a bit off vertical, due to the sweep of the hull. Also note that the stringers hang over in the front. Glue the upper half stringers in the orientation shown. 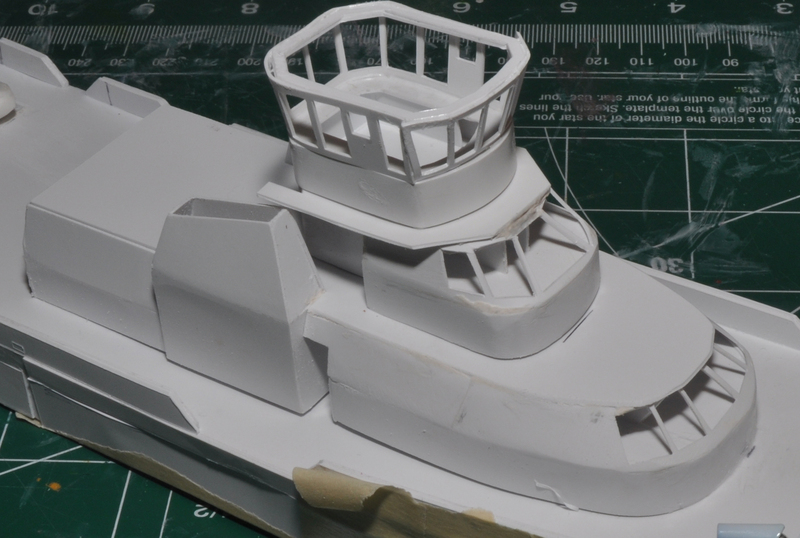 Try to make sure the rears align properly with the stern or the stairway opening. You will trim the front later. 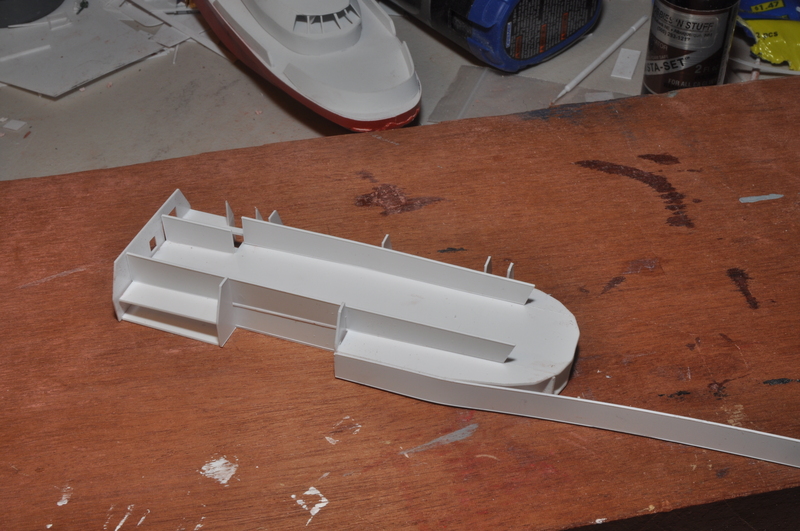 Glue the stern piece to the base, mid-level and stringers. 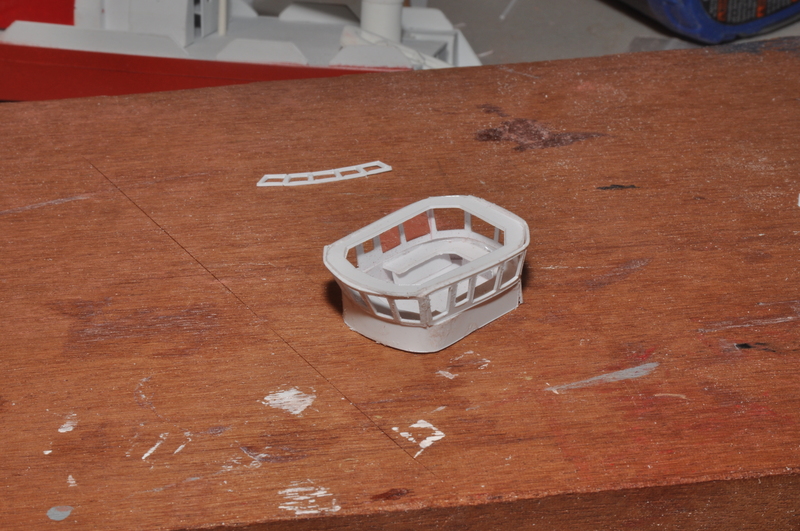 This piece is 1 mm wider than the base, giving you 0.5 mm to clip the side strips. Trim back the upper stringers about as shown, and remove. Glue the formers as shown. 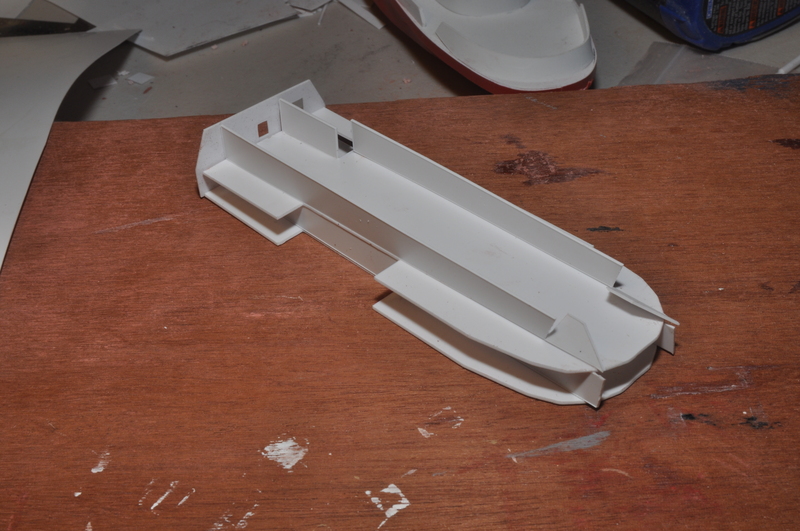 There are five of the same width, one slightly narrower (the front port stringer) and two very narrow. It’s important to stiffen up the structure at this point. 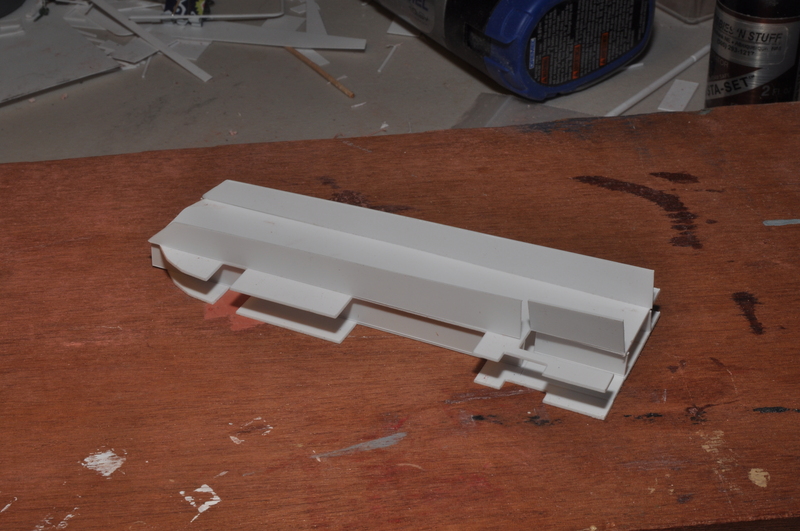 Take a 9 mm strip and begin wrapping the lower half of the main house. Here I have wrapped the strip all the way to the stern on the other side. 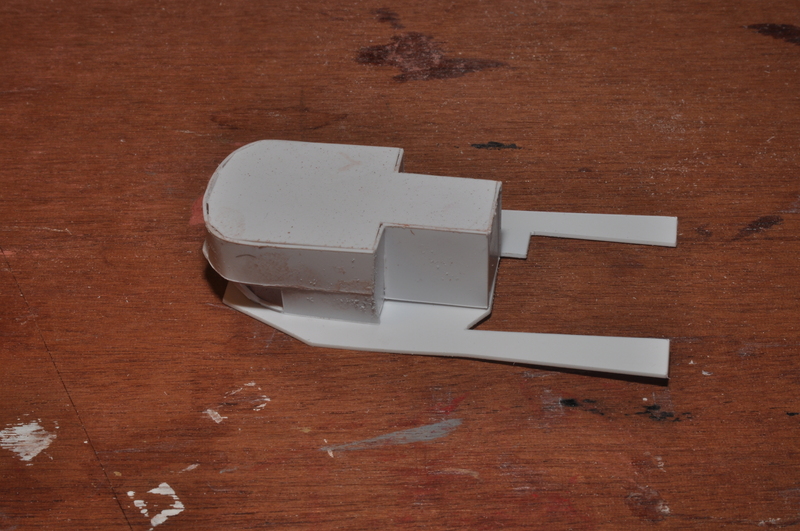 The stern piece “clips” the side strip, so you will have to trim the side strip to length. 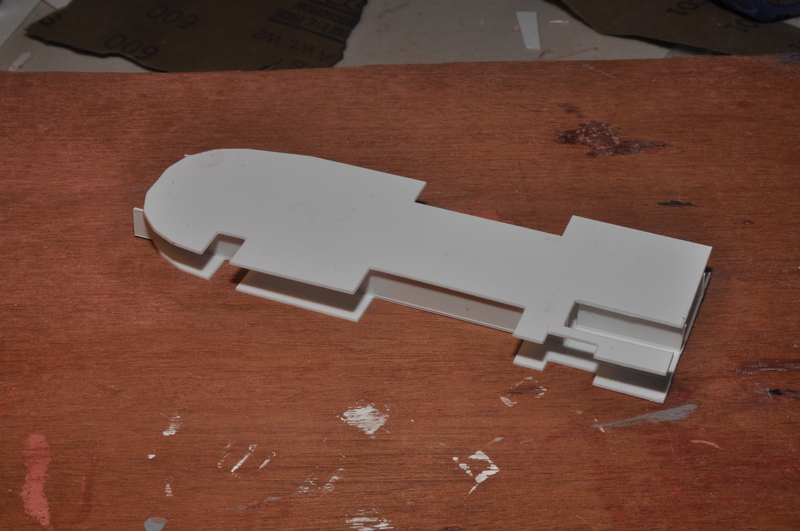 You will also clip out the opening for the smoke stack and door. Here’s the other side. At this point the structure is quite sturdy. At this time, add the roof, aligning it at the rear, then wrap the first level windshield between the desk level and the roof. Finish by using the widest strips to cover the slanted upper sides. Some filler may be required. These need to be trimmed at the door openings as shown. 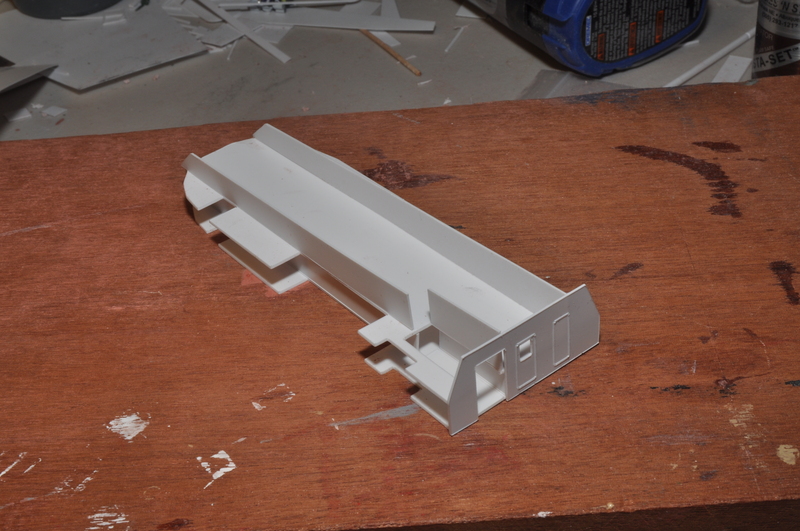 This image is from the first prototype build, so it is not entirely correct, but you can see how the windshield wraps quite far around the front, and joins the strips for the slanted upper level walls. 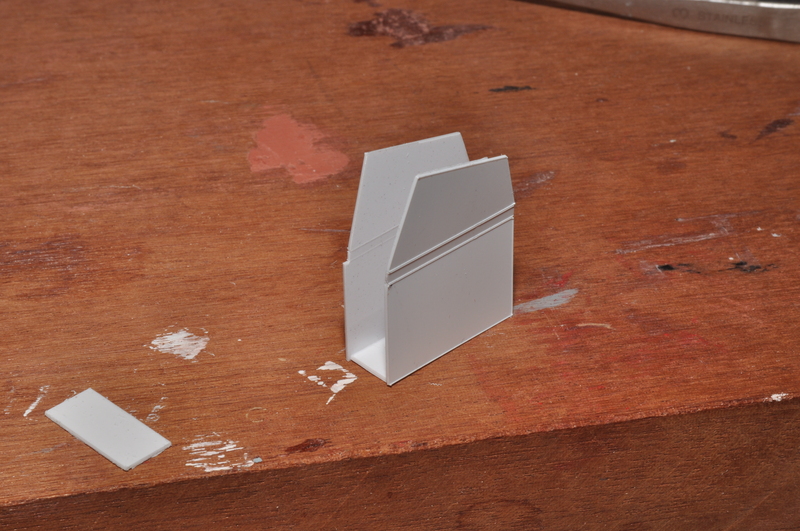 You can also see how the stacks will fit into the openings. The slant of the first and second deck windshields has been changed since this image.. 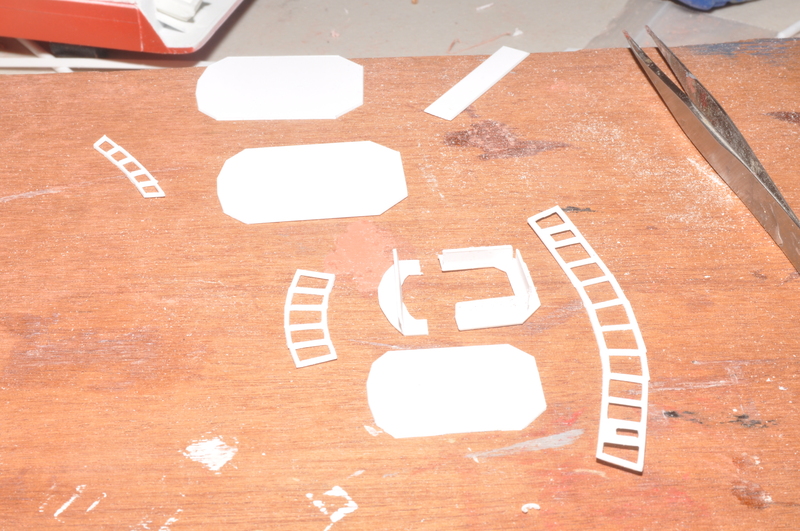 These are the parts to finish the second level. 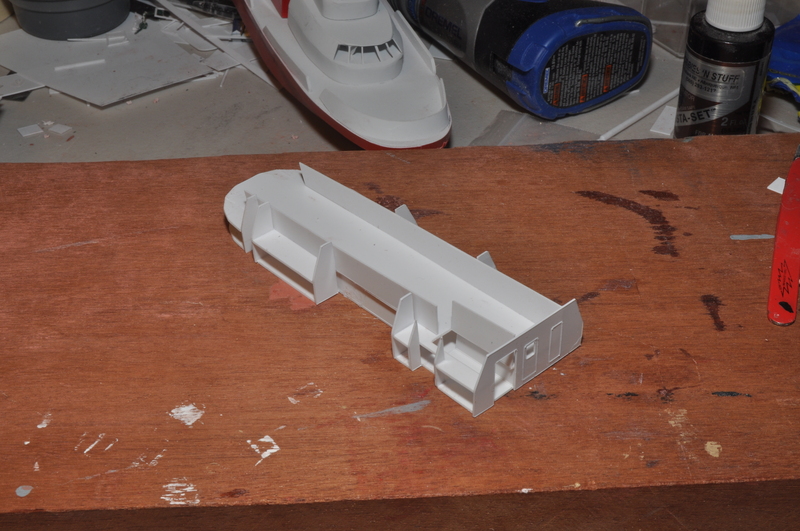 You will be building the front of the cabin, with swept back windshield, then joining it to the already completed structure. 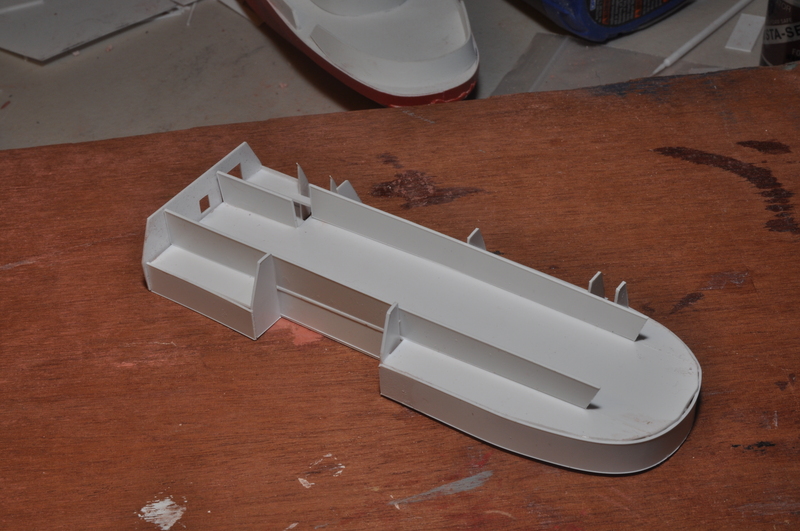 Glue the full-height back of the cabin to the base, then the two sides, and the two wings. 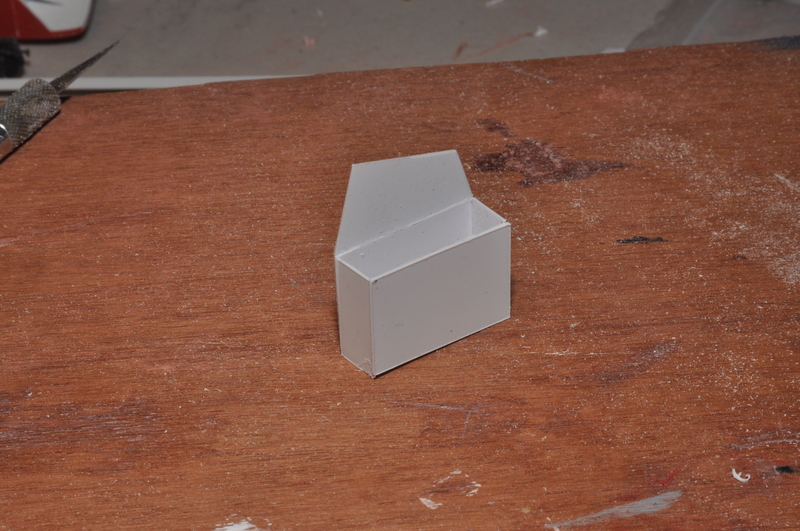 Cut small lengths of the narrowest strip stock to form a base for the desk level former. Glue the former into the structure. 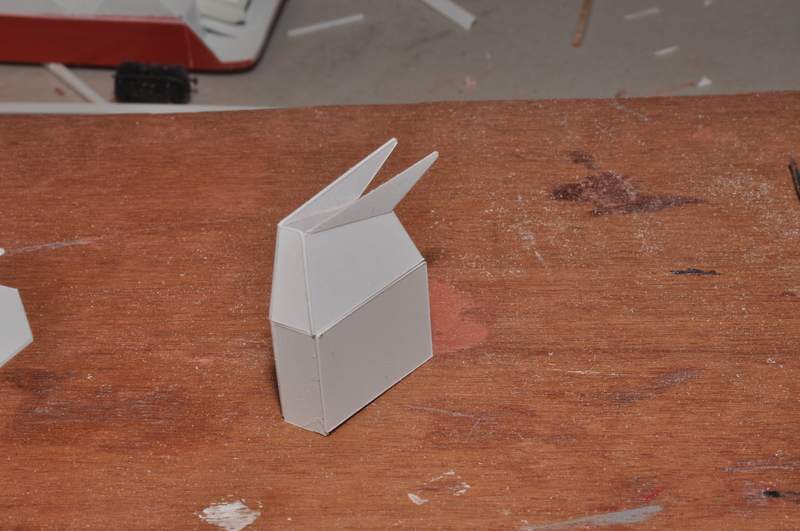 Start wrapping the front with the middle widest strip stock as shown. Wrap all the way around as shown. Glue a center reinforcement strip into the center as shown. 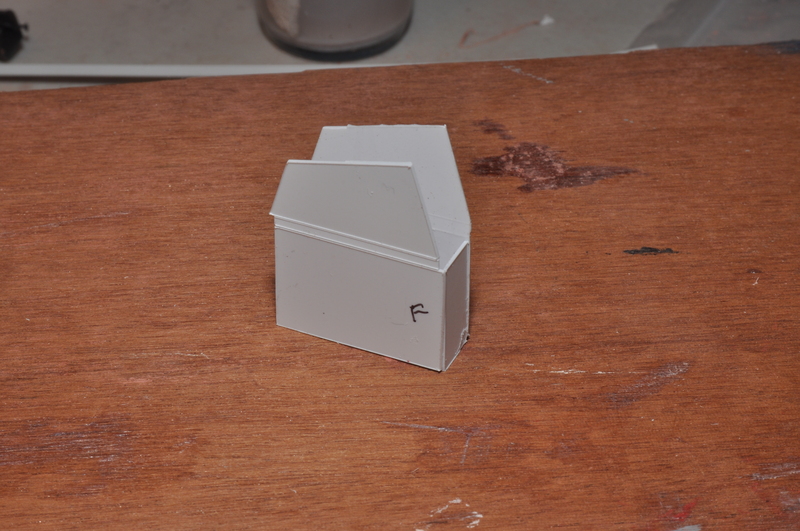 This strip should be 0.5 mm less in height than the remainder of the walls, so the roof can be inset—trim the height as needed. 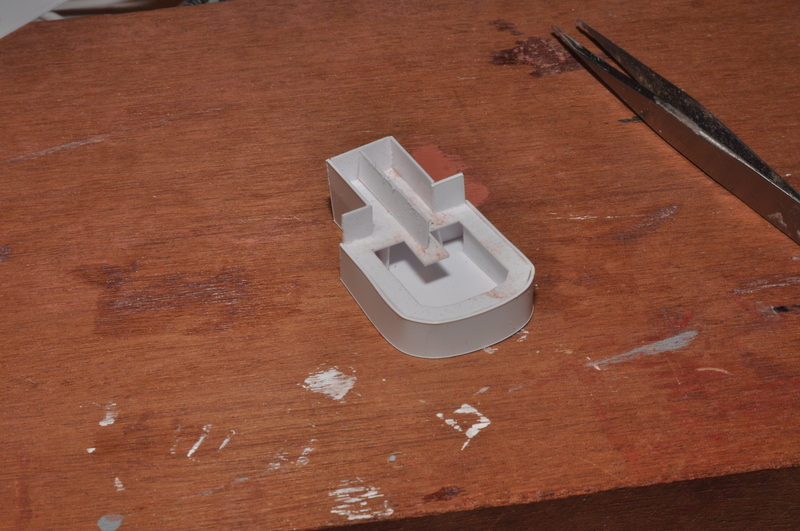 Glue the inter top to the structure. 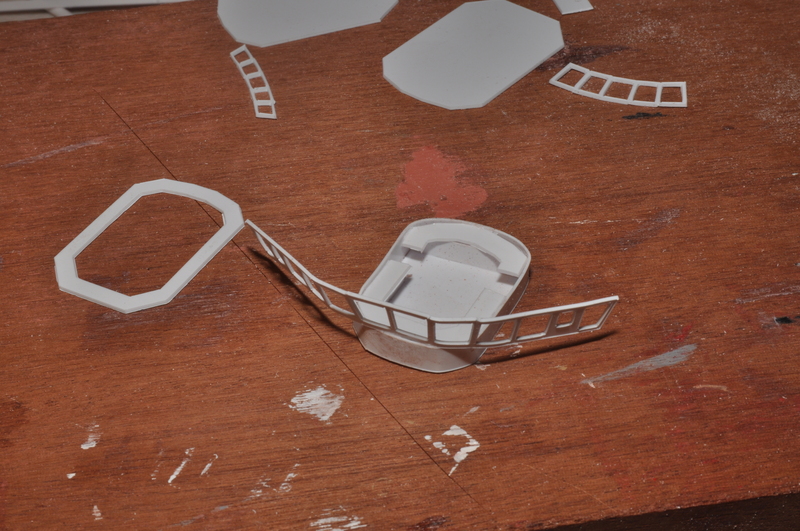 Wrap the windshield around the front of the structure and glue. 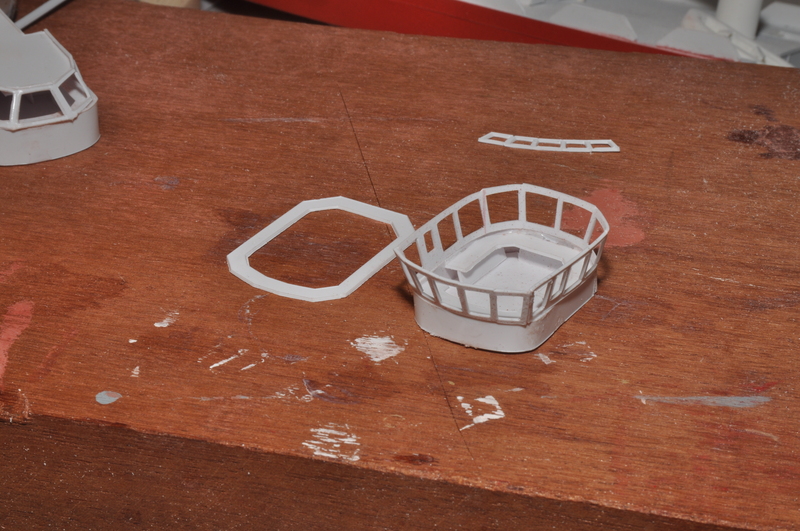 Note: the windshield’s slope was lessened between these photos and production, but the fitting should be the same. 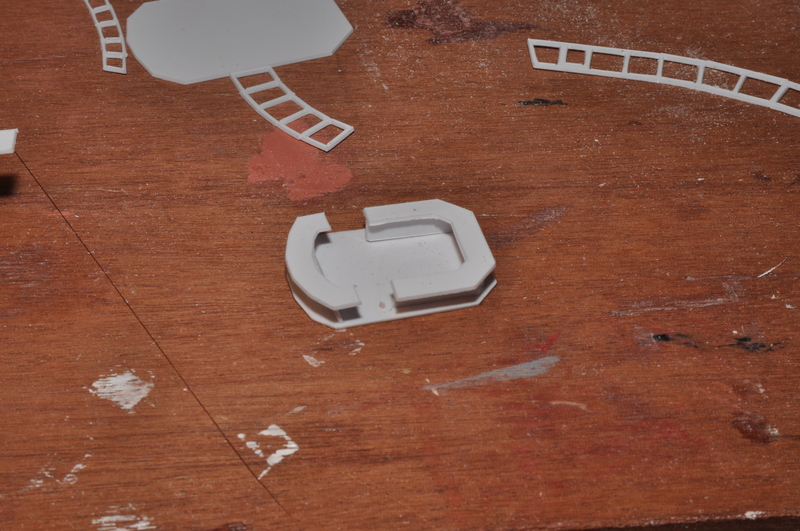 Glue the top on, aligning along the rear edge. The wings of the roof are symmetrical beyond the few variations near the rear alignment. The front edges form a bit of a shade over the windows. Note there are inside parts (not scored) and outside parts (scored) for each of the two stacks. You are building a port stack and a starboard stack which are mirror images. Glue two sides to the base.As usual, the sides clip the base, rather than resting on top of it. 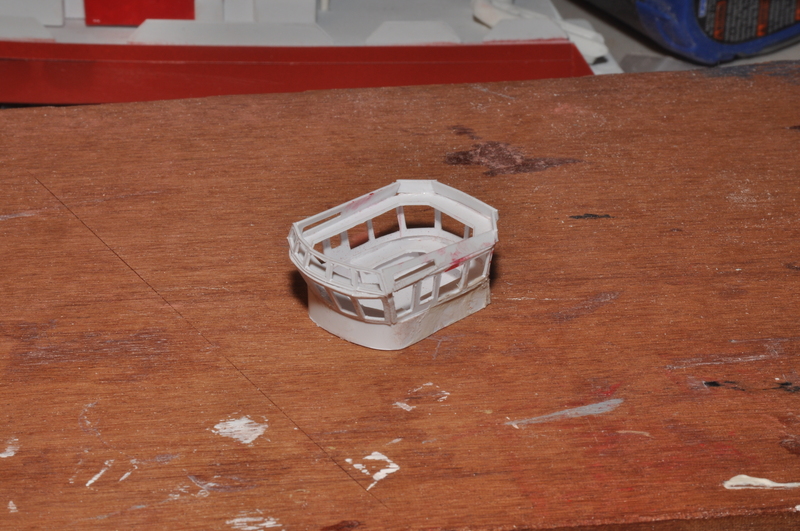 Glue on the bottom front, which clips the base and the sides/ I find it useful to mark the outer front of each stack. Glue on the lower back, and snap off the outer top side. 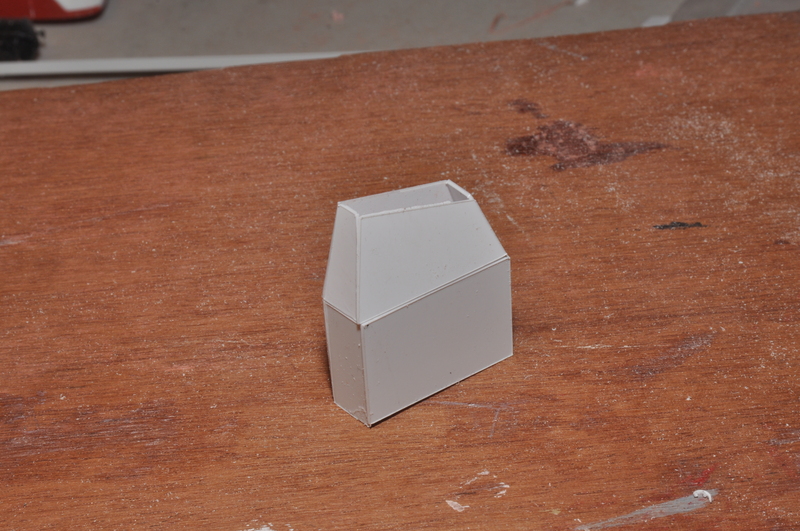 Glue on the outer top side at an angle as shown. The wings on the top of the stack are very close in dimension, but not the same. 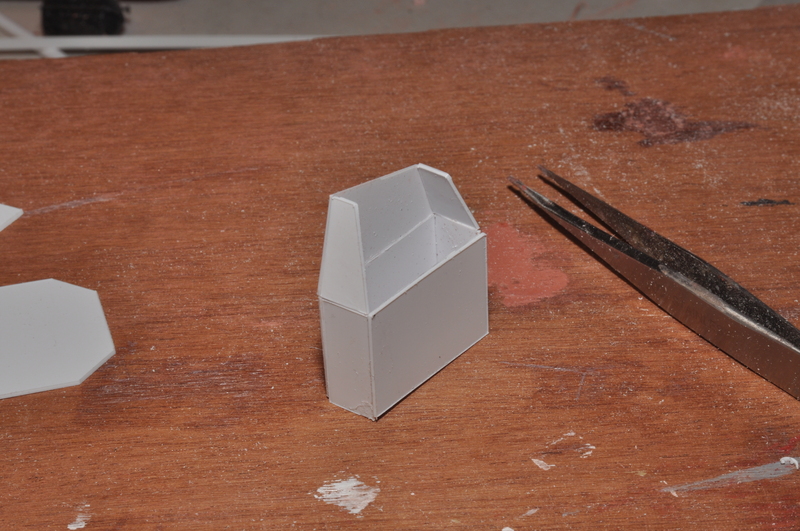 Glue the shorter to the inner side and the longer to the outer side. 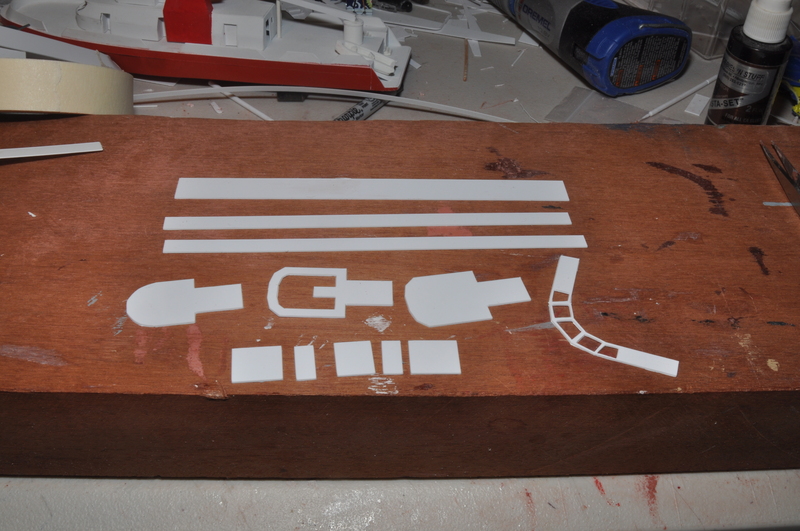 These are the parts for the pilot house. The base and the cut-apart desk level are the same dimension, although spaces for doors have been snapped away from the desk level. The first roof level is longer than the top roof level. 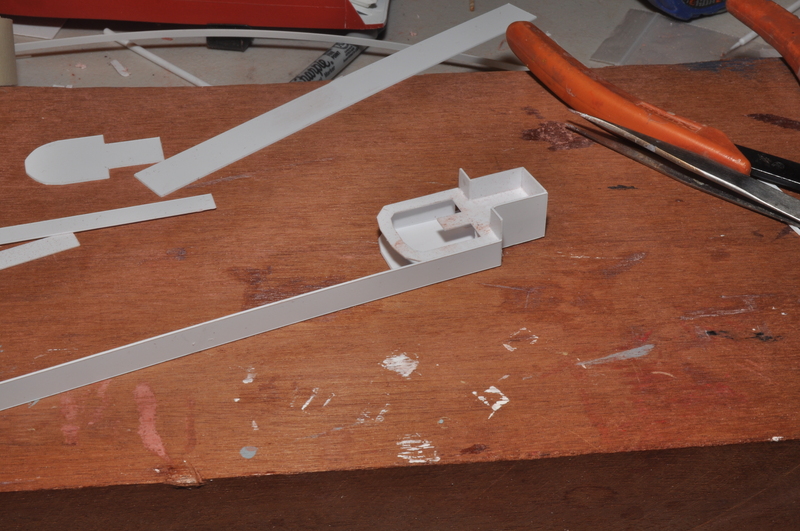 Cut small lengths of 5 mm strip to support the desk level. Glue up the front and back of the desk level (if you separate them), keeping them vertical with a small square. 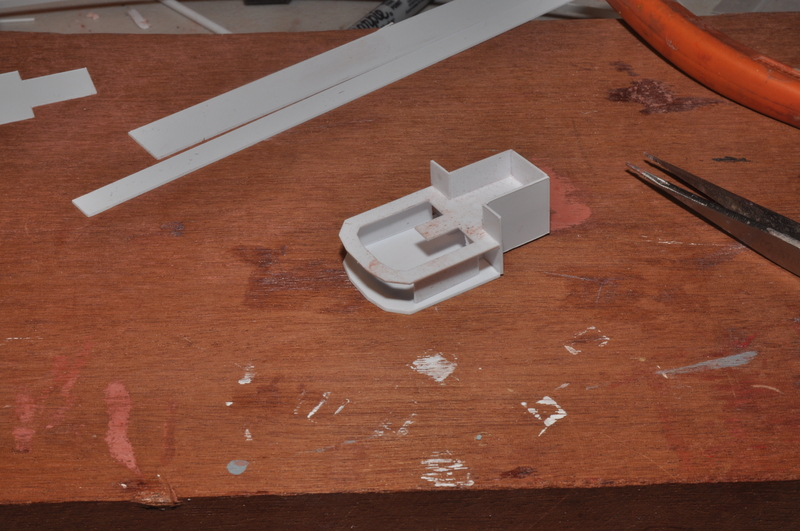 After wrapping and gluing the base and desk level with a 6 mm strip (not shown), start wrapping the windows. I started at the back as shown. There is an outward slant to all windows. Continue around both sides. Shown at the left is a reinforcing level (not shown before). 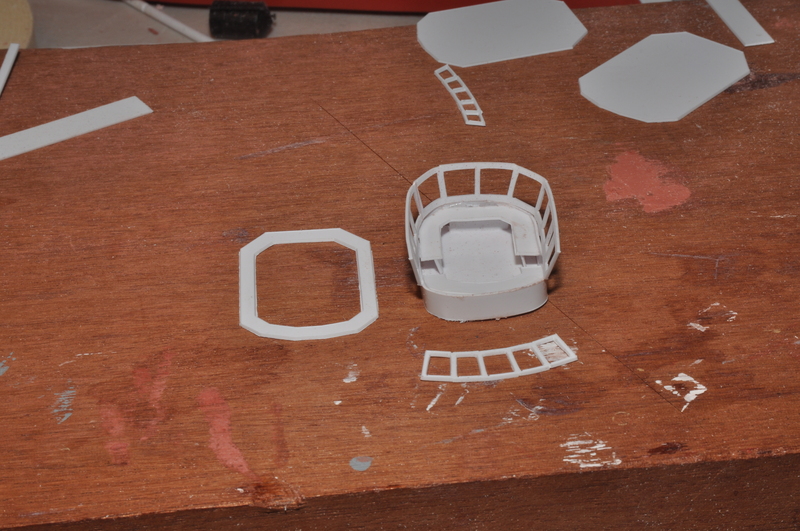 Glue the font windows to the structure. This is a good time to add acetate for the windows. Glue the reinforcing level. The rear is three-sided; the front is five-sided.